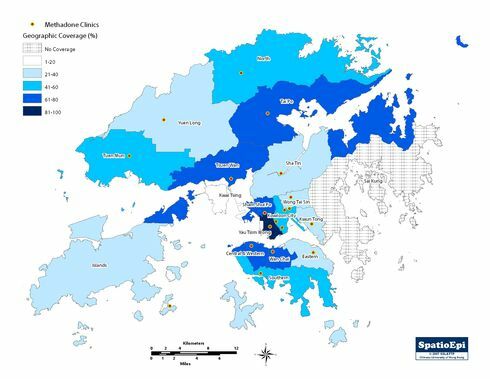 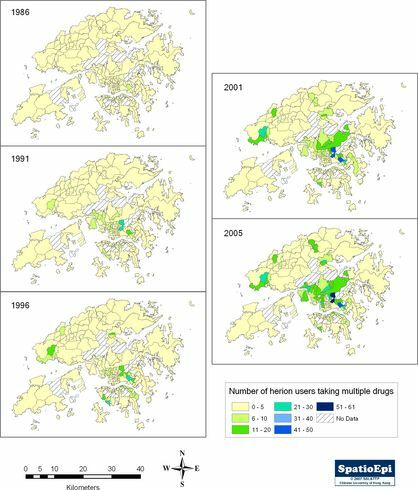 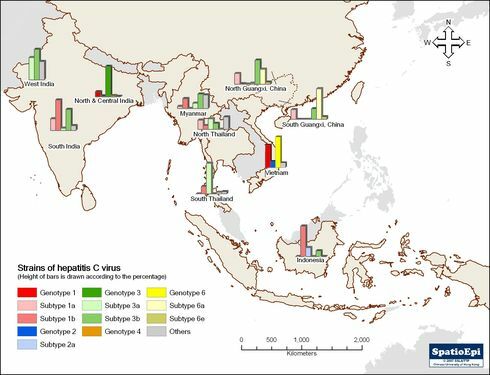 The green spot is the centroid of spatial distribution of methadone treatment user, while the purple spot is that of the residents in the same district of Tai Po. 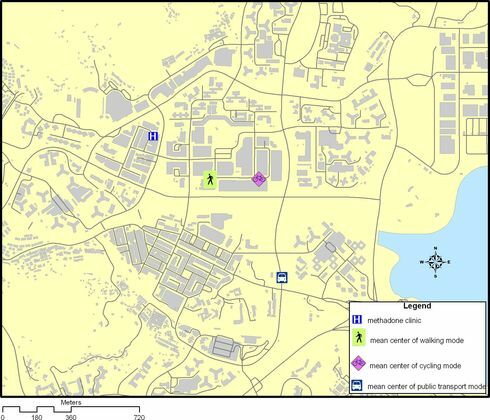 It’s clear that the locations of the two spots approximate each other. 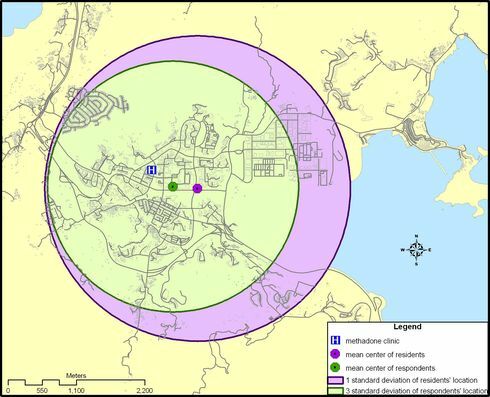 The green circle covers 99.7% (3 SD) of the methadone users, whereas the purple circle covers 68.27% (1 SD) of residents in the same district. 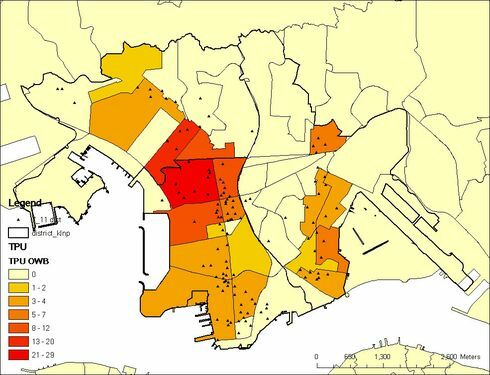 Clearly, drug users are living in ordinary places just like you and me.